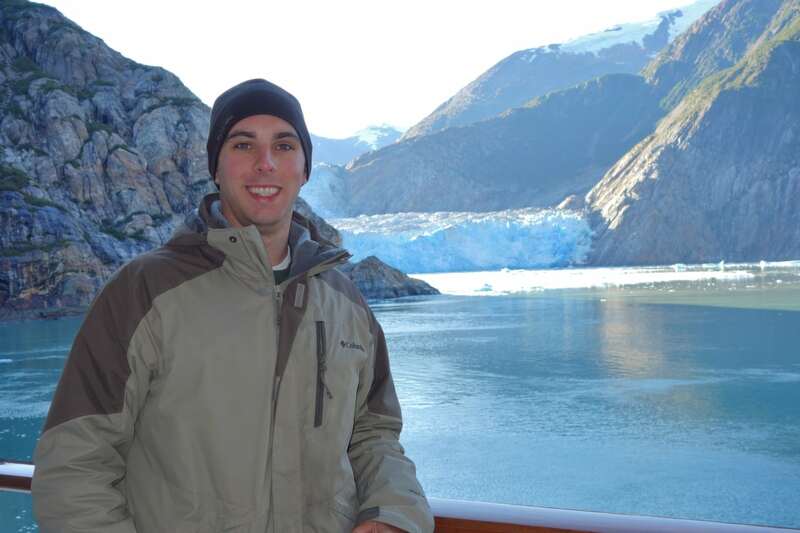 So, you have decided to take your first cruise to Alaska. Congrats! You are going to have a truly unforgettable vacation. 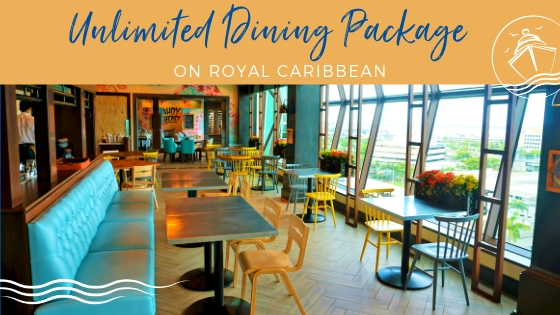 Even if you have sailed the Caribbean or another region of the world before, a cruise “way up north” is quite different. 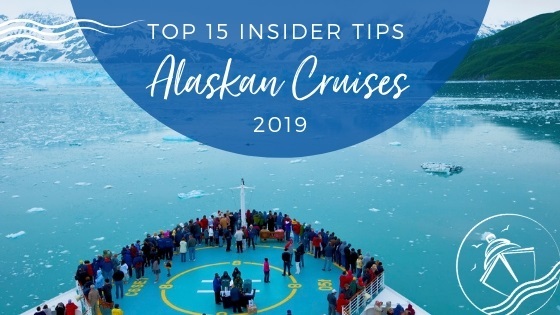 To help you navigate these waters, we have put together our list of the top Alaska cruise tips for your first voyage. Hopefully, these tips will ensure smooth sailing. Alaskan cruise itineraries go on sale up to 2 years in advance. If you want the cheapest rate and best selection of cabins, we recommend booking your cruise as soon as possible. 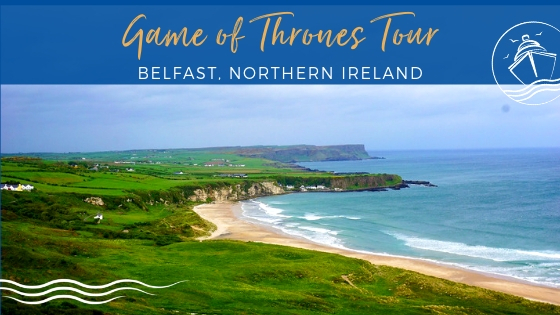 We normally book a year or more in advance when cruising this region. Your deposit is always refundable, and you will lock in a rate that is sure to increase over time. If rates do dip down, you can always call to get a price adjustment. Count those pennies, as you are going to need them for other portions of the trip. 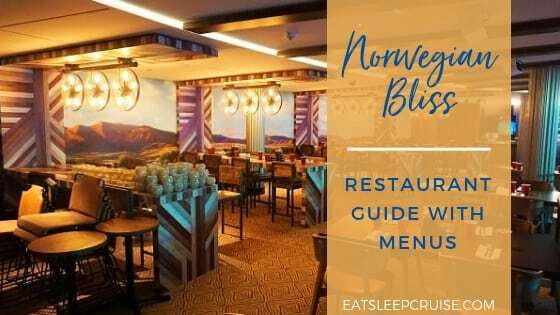 Recently, cruise lines have been adding more and more ships to the region including newer mega-ships like Norwegian Bliss and Ovation of the Seas. 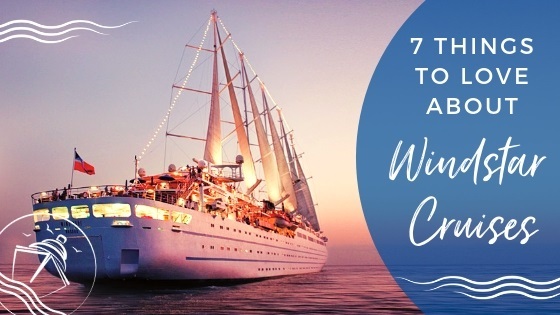 The decision of what cruise line you choose will have a major impact in the composition of your fellow cruisers as well as the selection of onboard entertainment. 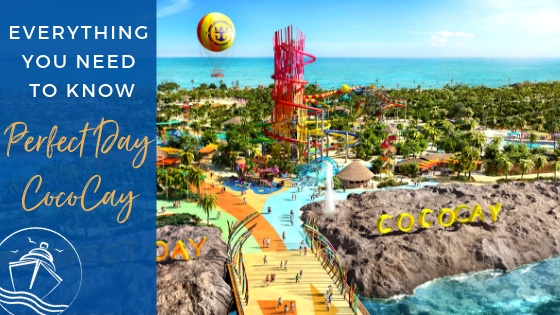 Families should stick to Royal Caribbean, Norwegian Cruise Line, Carnival, or Disney Cruise Line ships. 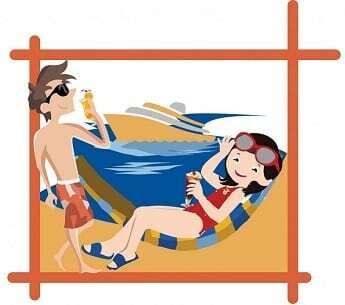 Couples may want to consider Princess Cruises or Celebrity Cruises. 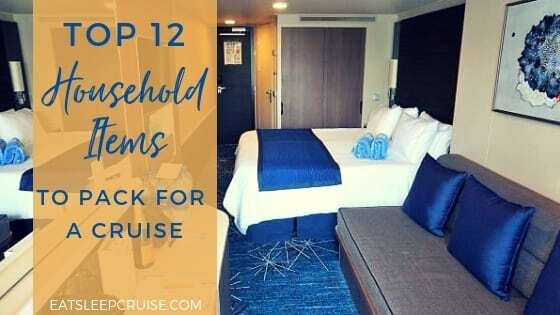 For those looking for a more subdued experience, Holland America or some of the other boutique lines might be a good option. 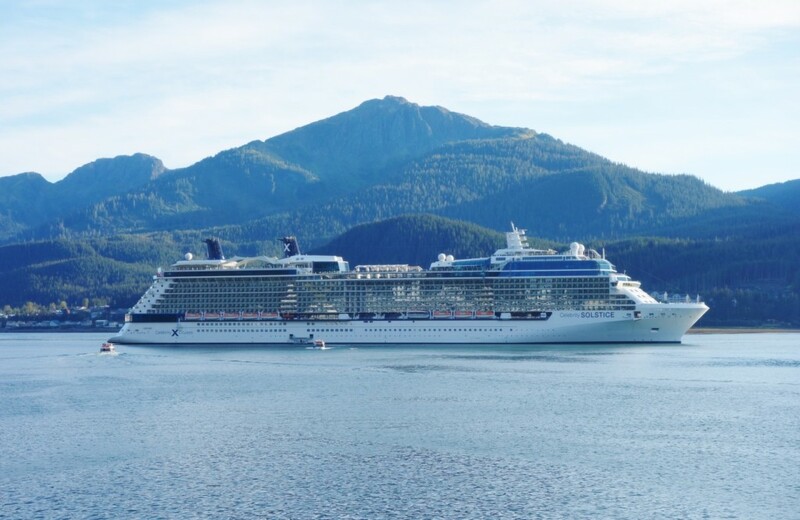 A cruise to Alaska is not cheap. The cruise fares themselves can run you double (or more) compared to a Caribbean cruise. The shore excursions and tours in Alaska can also cost you a pretty penny. Be sure to budget accordingly as you will spend more for the once in a lifetime opportunities like a float plane through the fjords, a helicopter ride landing on a glacier, or a dog sled ride through the wilderness. These are truly amazing experiences and should not be missed. So, splurge on this vacation. Since this is a once in a lifetime trip for many travelers, shore excursions do book up quickly. Waiting to book onboard the ship or delaying until the actual port of call is a risk we would not take. The last thing you want to hear is the excursion you have been waiting for all year is already sold out! We suggest booking ahead of time, as you can always cancel if something pops up. Also, you could even save some money by booking your shore excursions via third party vendors. So, do some research and be sure to book the tours you don’t want to miss. 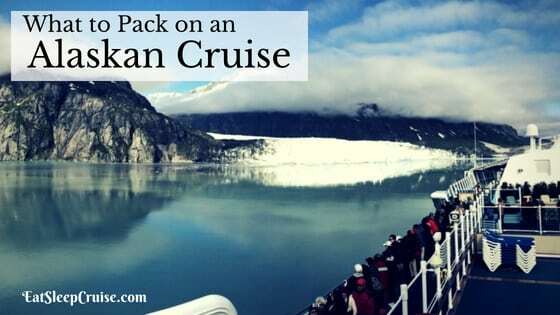 Of our 15+ cruises prior to 2014, we booked our first ever balcony room for this Alaskan cruise. This made perfect sense as we scored a good deal with additional perks that included a drink package by booking the balcony. 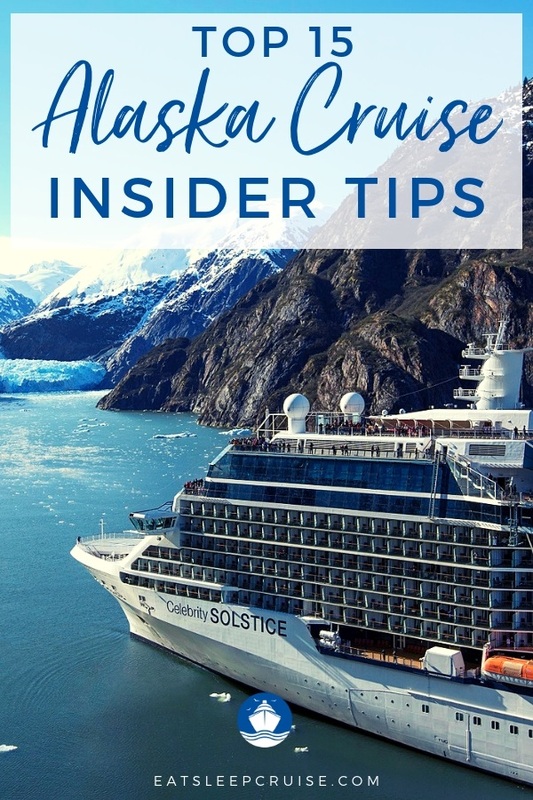 But, once on the trip, we both agreed that paying extra for a balcony would have been worth it regardless, especially during the sail in to Tracy Arm Fjord and the Sawyer Glacier. Invest in your vacation and upgrade your cabin so you too can see these landmarks up close and personal from the comforts of your stateroom balcony. Trust us, you will be glad you did. If costs are a major concern, consider traveling in either May, the beginning of the season, or September, toward the end of the season. The cruise fares will be the lowest during these times of year, and crowds will also be the lightest. Do note that weather could be an issue, as it tends to be less ideal during these months. It is also possible that certain shore excursions will not run due to weather conditions. During our September cruise to Alaska, we were lucky enough to have great weather and save some cash. July is the prime month to visit Alaska, as it offers the best weather and greatest likelihood of seeing wildlife, including bears, eagles, whales, and more. That is not to say that you can’t have a fantastic cruise during the other months of the Alaska cruise season as well. But, if you are wondering why July cruises are so expensive, it is because travelers to Alaska know this is the prime time of year to travel way up north. When not docked at a port of call, most cruise lines will offer a variety of onboard talks and lectures. 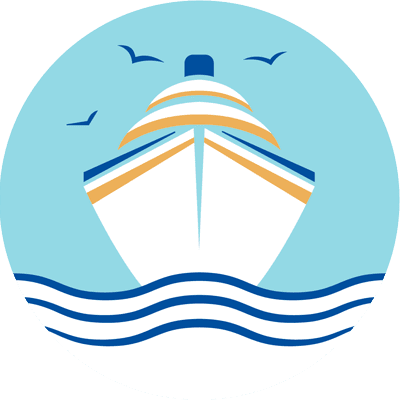 These are not your typical port shopping presentations but rather enrichment programs that provide valuable information about the history, culture, and wildlife of the ports of call you will be visiting. 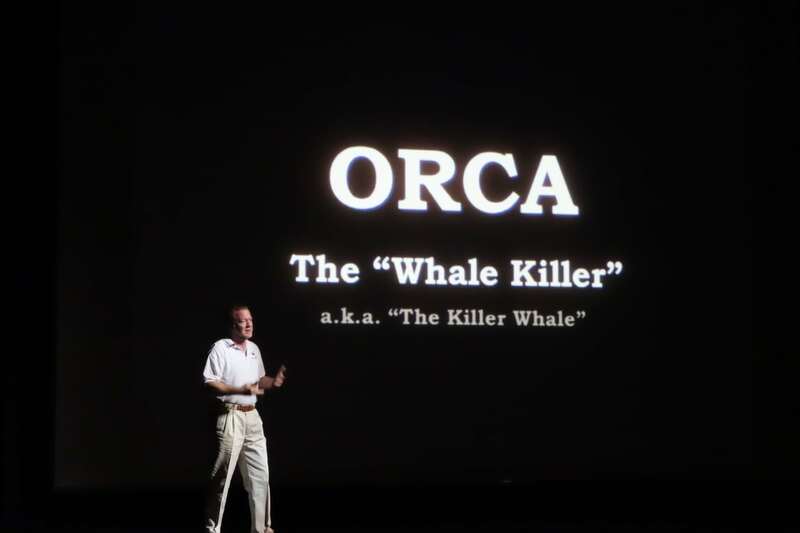 These talks are an informative, fun, and educational part of your cruise that should not be missed. Our onboard naturist and historian were amazing and really made the cruise that much more enjoyable. 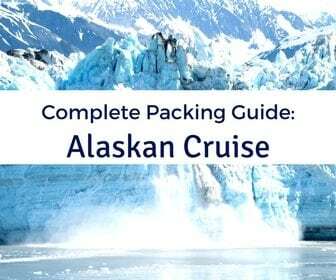 Packing for an Alaskan cruise is not an easy task. Given the fluctuations in temperature, which in our experience was up to 30 degrees in one day, you will need plenty of clothes in varying degrees of warmth. Layers that can be easily packed, and taken on and off during the day, are preferable. We really liked our Columbia 3 in 1 jackets. You will want to also set aside some separate outfits for those afternoons and evenings on the ship. 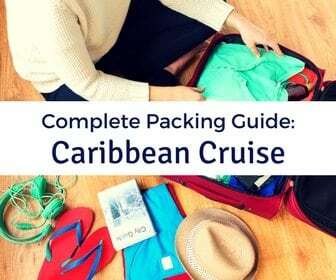 This cruise will really test your true packing abilities; don’t plan on traveling with just a carry-on for this trip! Speaking of weather and packing, do be sure to bring your packable raincoat, an umbrella, and some waterproof shoes or boots. It will rain during your cruise. 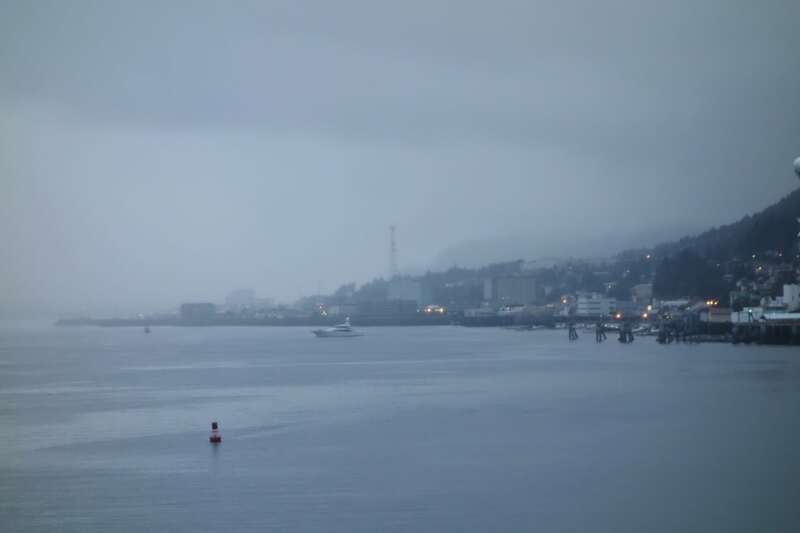 If you are lucky, the rain will only pop up here and there, but Ketchikan is one of the rainiest places in the United States after all. Even if the day starts off sunny, be prepared for some fog and rain to roll in eventually. Don’t let the damp weather impact your trip, just be prepared with the right gear. Over the years, getting dressed up for evenings on a cruise has become a fading trend. Furthermore, Alaskan cruises have always been more casual than their Caribbean and Mediterranean counterparts. Jeans are perfectly acceptable in the dining rooms, although shorts are probably not appropriate for multiple reasons. There are still “formal” nights onboard most cruise lines, but feel free to dress for comfort if you choose. After all, this is a vacation. Clothing is not the only gear you should pack. This trip is one you will want to remember, so don’t just rely on that camera phone to capture these memories. Upgrade to a compact digital camera or even a new mirrorless camera. Our choice is the Sony Alpha. These cameras will help capture the natural beauty of the landscapes and wildlife you encounter, while still being small enough to carry along with you while exploring the ports. You may also want to invest in some binoculars for this trip. While the weather is not exactly beach friendly, the pools and hot tubs on the ship are still open. If you are lucky, the weather may get warm enough in the afternoon for you to take a dip in the pool. Or, you could unwind in one of the hot tubs onboard or relax in the spa. Think of how perfect it would be to enjoy the scenery at sail away while being gently massaged by these warm water jets. This is an experience that will make all your friends back home jealous. The food on the ship will be as delicious as always, but when in Alaska, you should eat like an Alaskan. 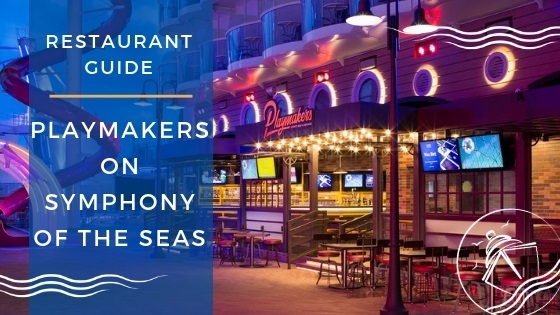 This means you should indulge in the plentiful seafood available. Salmon bakes and Alaskan King Crab are just some of the fresh local specialties that you should sample during your trip. 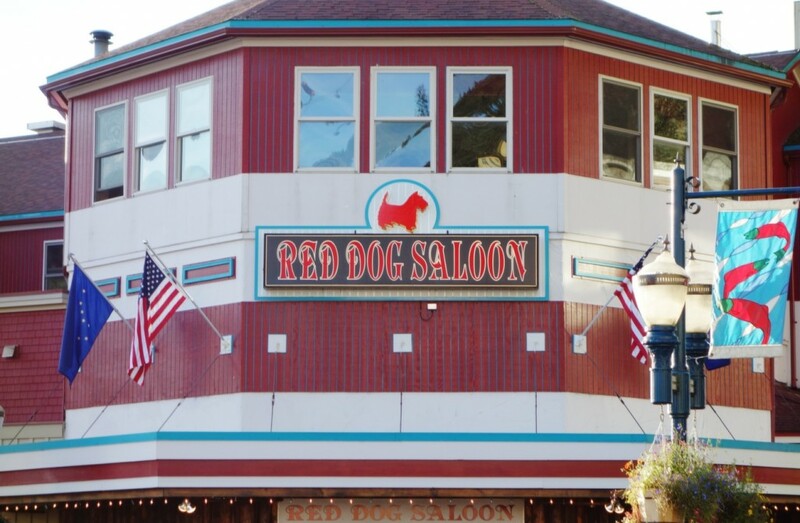 Of course, you will need some beverages to wash down the food, so visits to places like the Red Dog Saloon (Juneau) and Red Onion Saloon (Skagway) are also mandatory. 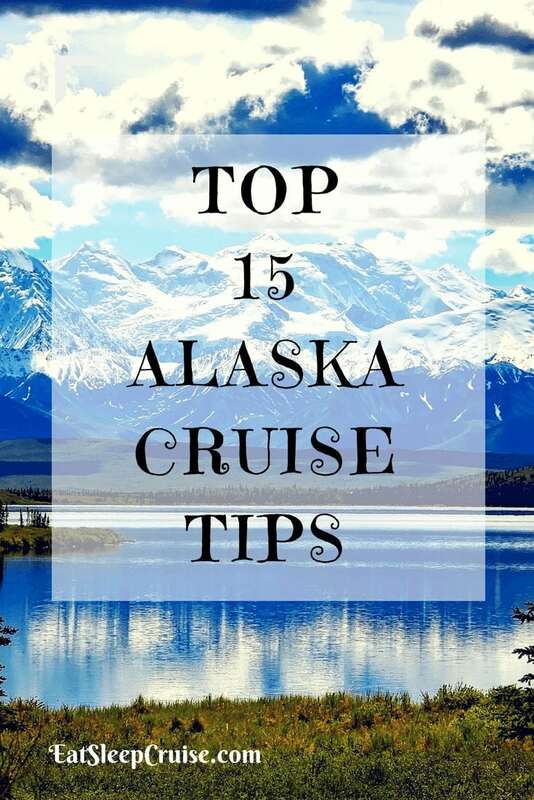 You are going to do and see a lot during your Alaskan cruise, so make sure to get some sleep. There will be early morning calls into port and glacier sightings that will have you up at dawn. With the sun out until 10pm during peak season, you will want to take in all of the majestic views until late in the evening as well. Not to mention, there is also the potential to see the Northern Lights during certain times of the year. These early mornings and late evenings mean you should make use of down time to squeeze in a few extra hours of shut eye whenever you can. This is one adventure you don’t want to miss. Have you sailed to Alaska? 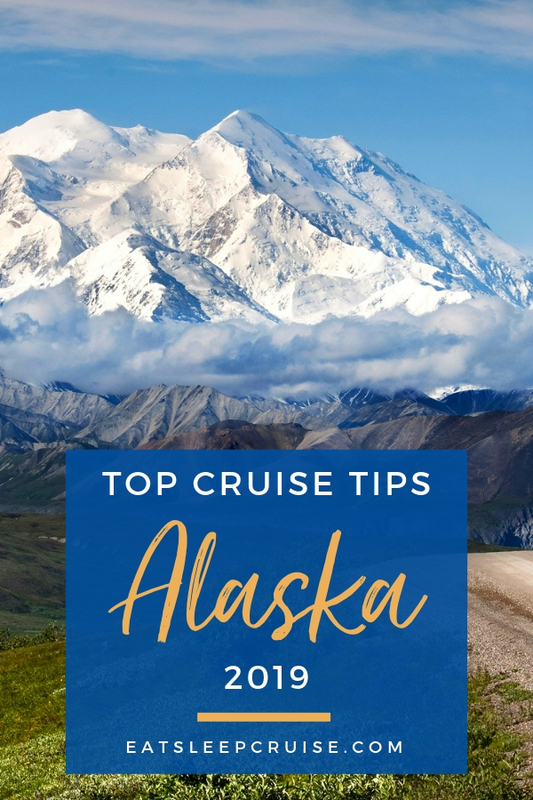 What are some of your Alaskan cruise tips? Drop us an anchor below to share those secrets with your fellow cruisers. Any tips on excursions to take while in Alaska?